I had a bit of a cast on extravaganza this past week. 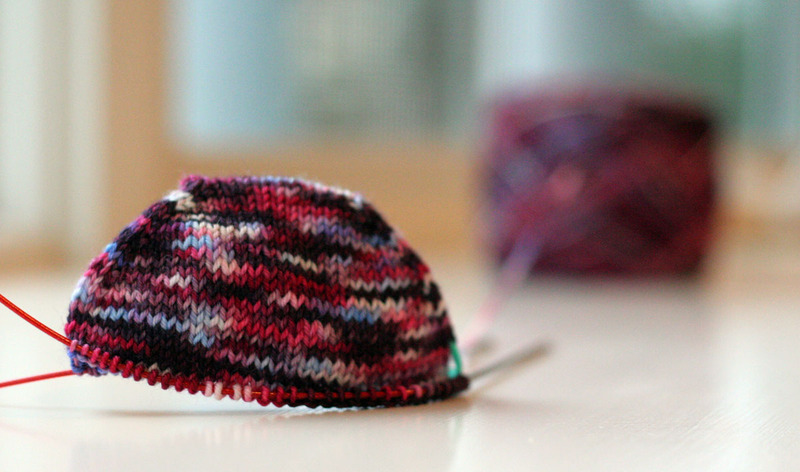 First up were these socks in yarn I bought (and loved) 3 years ago. I special-ordered the bump from glblf and got it Navajo plied from Plied Together after I fell in love with a pair of socks in my Friends feed. 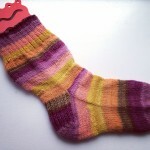 If it wasn’t for the Personal Mystery Sock Yarn Club I still wouldn’t have started these. Since they’re handspun they’re a bit thicker than regular sock yarn so they’re knitting up quickly. Then I CO these socks out of Gnome Acres House Gnome in the Berry Gnomey colorway. Pink, purple, white and a splash of blue. Love them. They feel so thin after working on the handspun socks. And then to keep in interesting I started a pair of mittens. 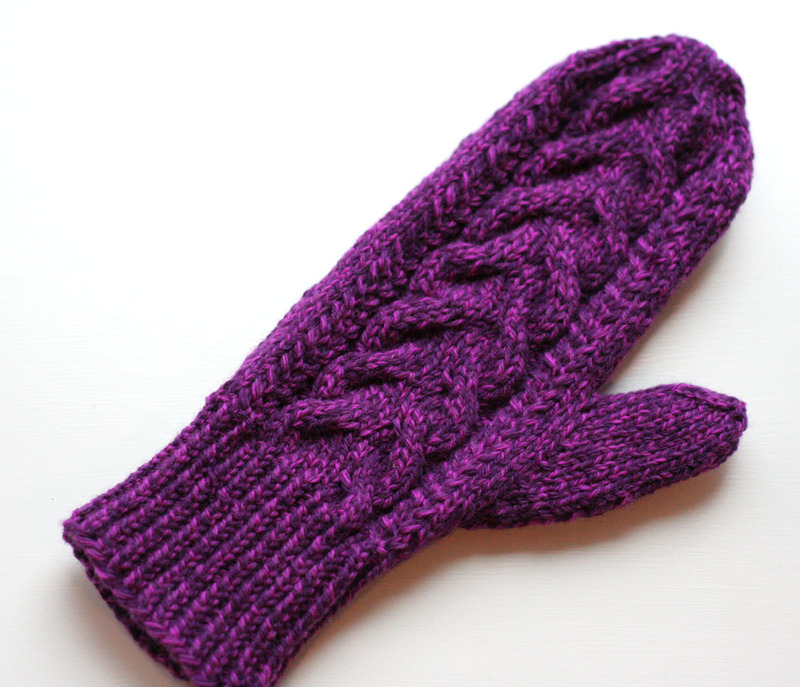 These are the Wood Hollow mittens out of some Cascade 220. 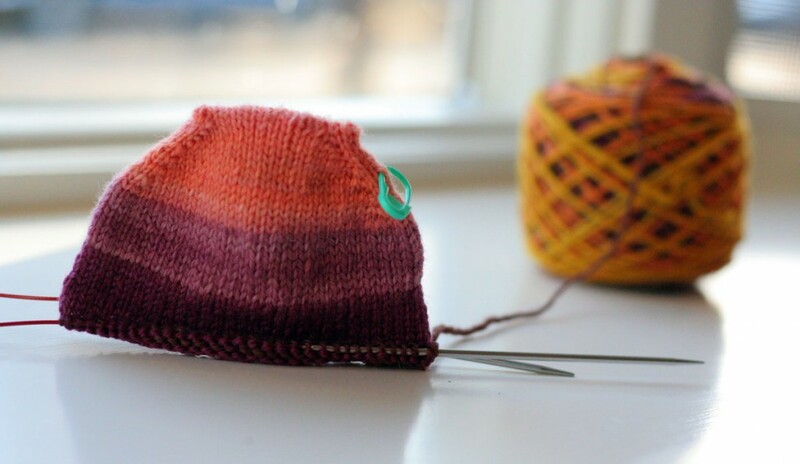 I have mixed feelings about the yarn – the color is great but it’s a quatro colorway and I think the speckliness takes away from the cables a bit. I’m through the ribbing on mitten #2 and hope to be done this weekend. 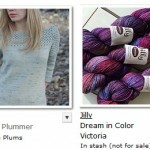 So that’s it – three new projects from stash yarn to fill my beginning of year knitting. I only finished 3 projects in 2014 and that bothers me – I want more to show for it – so I’m making more deliberate decisions with my WIPs. What projects did you start? mittens, socks, WIPs 2015 handspun, mittens, mystery sock yarn club, socks, stashdown, yowza. permalink. Those all look great!! 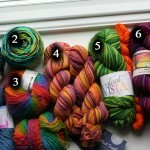 The yarn for both pairs of socks look amazing!! Those mittens are fantastic and those handspun socks? Swoon. Yay to a cast on party! A new year is an excellent reason to knit on with abandon. Love the socks and the mitt. The handspun socks are especially fantastic. I too added sock yarn that had been sitting in my stash not getting the love they deserve. 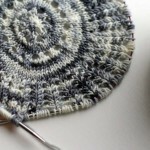 This KAL was the perfect way to knit them up. 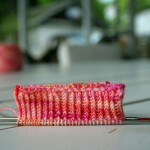 definitely warm – i’m knitting worsted on US#5s! I think that the cable is big enough in the mittens that the yarn doesn’t overwhelm it. 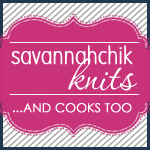 As for those handspun socks…. I’m a wee bit jealous. Clearly I need to get to spinning again so I can have my own! Thanks for the support on the mittens. Either way they’ll be warm and that’s definitely a goal right now! Now go spin some yarn so you can have pretty socks! Way to rock so many projects. I need to get knitting ASAP. Love the mitts in particular.